The Compass of My Heart original drawing is on view in the Spiritual Voices exhibition at Tucson JCC until January 10, 2018. You may use the contact form to order signed archival pigment prints. 15" x 22" $425 unframed. 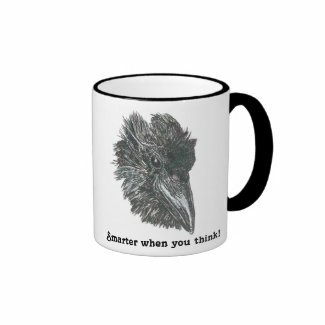 Click to purchase at Zazzle. Click on the bunny to see more critters. Click The Art of Paying Attention to hear and read The Rabbit Warren segment of my radio series on Arizona Public Media. Hand-signed, museum-quality archival prints are available for purchase. With ravens as the catalyst, the non-fiction essays, shared stories, and intricate drawings in Listening to Raven invite readers to observe, with unbounded curiosity, the wildlife that flies, crawls, and skitters along with us in our changing environment. Both intimate and universal, the book’s mixed-media palette of experiences, observations, and my award-winning visual art encourages readers to actively discover their integrated place in nature and, in the process, nurture this planet we call home. The broader appeal of Listening to Raven is that each of us, using only the tools of our eyes and mind, can gain and enjoy a deeper appreciation of our place in nature. If you pay attention long enough, you can see a whole world in your own yard and once you start looking, it’s hard to stop. Drawing ravens is an intimate process that involves preening each bird gently into existence until a unique character emerges from the page to tell me why he is here to join my Listening to Raven art and stories. The combination of art, story-catching, and citizen science is inspiring people who never before looked at birds with curiosity to bring me their personal observations of clever raven behavior, while others come forward with spiritual stories, often telling of ravens as messengers and guides. The Raven segment of Encyclopedia of Santa Fe and Northern New Mexico by is illustrated with The Reason Why along with my explanation of Raven calling me to New Mexico to draw and collect first person stories of interactions with this clever corvid and iconic spirit guide. To my delight, Listening To Raven inspires people to bring me stories of science and spirit. Strangers ask for face-to-face telling of stories so big, I have to go see; experiences so personal, I want to be there. What’s your story?Please click here to share. Listening to Raven, in-progress, won the 2013 Tucson Festival of Books Literary Award for Non-Fiction. Orion magazine published Walks Like a Man with my essay on the Las Conchas fire that roared through New Mexico, destroying raven habitat. The flockflew across the digitally looped Art Billboard Project in Albany, New York and Walks Like a Man roosted at the New York State Museum in the Focus on Nature exhibition of work by international scientific illustrators. "Most ravens seem to have a love of life and joy of play that connect easily with people. The drawings of Beth Surdut capture this aspect of ravens as well as or better than any artist I have seen. Not only are they anatomically correct and the postures shown accurate, but after looking at one her drawings for awhile, I am always left with the question—“I wonder what that bird is thinking?" Surdut is able to capture this without making her ravens look like "little people"-- the birds in her drawings actually do look, and behave, just like ravens do." Hand-signed, museum-quality archival piment prints are available for purchase. Like life, there's more to these pieces than black and white. Color nuances/details are not fully represented here. Each original and print may be surrounded with more white than shown. Support the project by buying prints! All images are copyrighted and should not be downloaded. Bird guide author/artist/juror David Allen Sibley included The Ravens of Truth and Memory in the For the Birds exhibition at Brush Gallery in Lowell, Massachusetts. The flock roosted at the Randall Davey Audubon Center Gallery in Santa Fe, New Mexico as a solo exhibit with story-catching, and at the Commissioner’s Gallery at the New Mexico State Land Office.